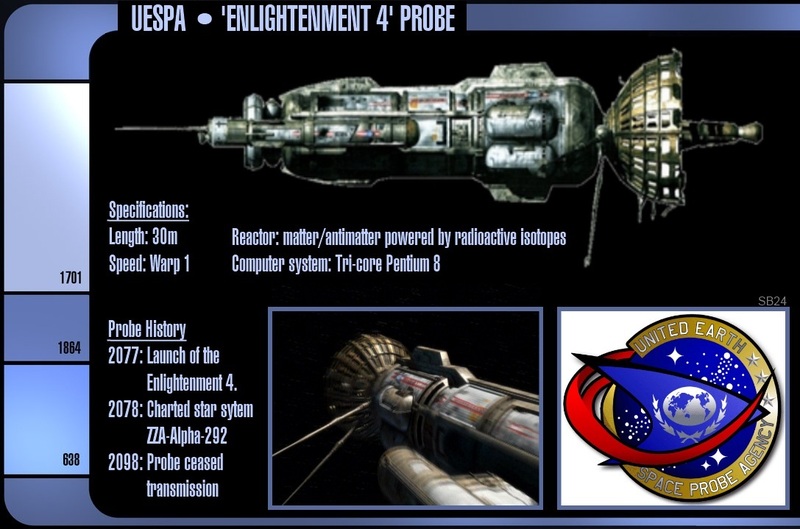 2078: The United Earth Space Probe Agency (UESPA) probe "Enlightenment Four", launched early the previous year, charts the star ZZA-Alpha-292. 2160: The Earth Ship Endeavour NX-05 Explores ZZA-Alpha-292 System. A single class M world is discovered, and is called ZZA-292-3. No signs of intelligent life are found, aside from a strange structure discovered on the planets northern pole. Its metals don’t conform to any other on the planet. However, components from the structure are believed to have been removed. It is estimated to be five thousand years old. 2173: More structures made from the same metals are discovered on planets along a straight line from ZZA-292-3. As the trail continues, the frequency of the structures increases, along with signs of massive explosions, until the end point – a devastated star system. It is assumed that this was an ancient empire that destroyed itself, and the lone structure on ZZA-292-3 was a single, Frontier Outpost. 2199: The Earth colony ship SS Patrick Moore leaves the solar system, with a view for colonising an alien planet. 2202: The 'Patrick Moore' makes landfall on ZZA-292-3. The renamed “Frontier World A” is shortened to “Frontera”. 2215: Frontera, initially an archaeology hub, becomes recognised as a key scientific world, with facilities dedicated to biology, physics and even sociology. 2220: Due to increased hostile anti Federation rhetoric from an increasingly mad Chancellor M’Rek, Frontera is selected as the site for Starfleet’s Twenty Fourth Starbase. 2222: Starbase 24 is completed. 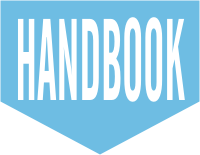 In its initial form, it is a ground based facility, with an orbital drydock for repairs etc. 2237: The Civilian Authority of Frontera officially petitions Starfleet to consider moving the base to an orbital facility. Starfleet declines. 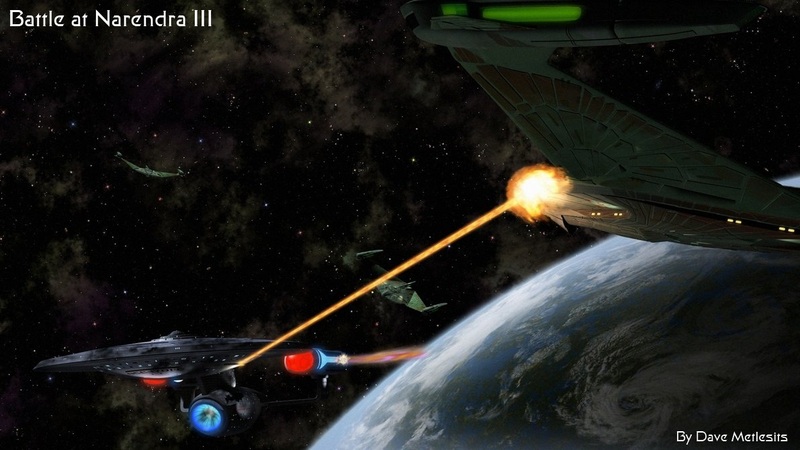 2242: First “Battle of Frontera” - The starbase is attacked by a large squadron of Klingon ships. Despite suffering heavy losses, Starbase 24 remains intact. Chancellor M’rax later claims that the attack was undertaken by “undesirables” and was not his doing. 2268: After increasing evidence that the conditions of the Organian peace treaty are no longer being enforced, Starfleet launches its “Neutral Zone Counter Attack” fleet, based at Starbase 24. 2270: Citing dangers from cloaked probes and long range sensors, recently promoted Admiral James T Kirk, recommends to Starfleet Command a form of “Enclosed” Starbase where current and future starships can be upgraded and repaired without key systems being compromised by long range spies. 2272: The first “Ournal” class Starbase is completed in Earth Orbit. 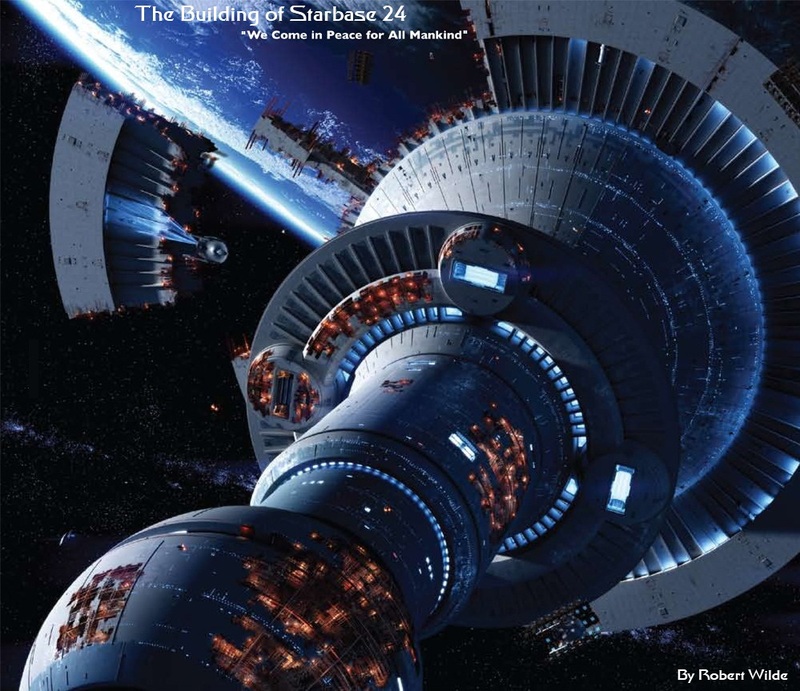 2274: Starbase 24 is selected to be upgraded to an Ournal Class orbital facility. The decision is met with approval from the Frontera Civilian Authority. 2280: Despite an attack from a Klingon Privateer, the new Starbase 24 is completed and Starfleet Operations are relocated to the new facility. 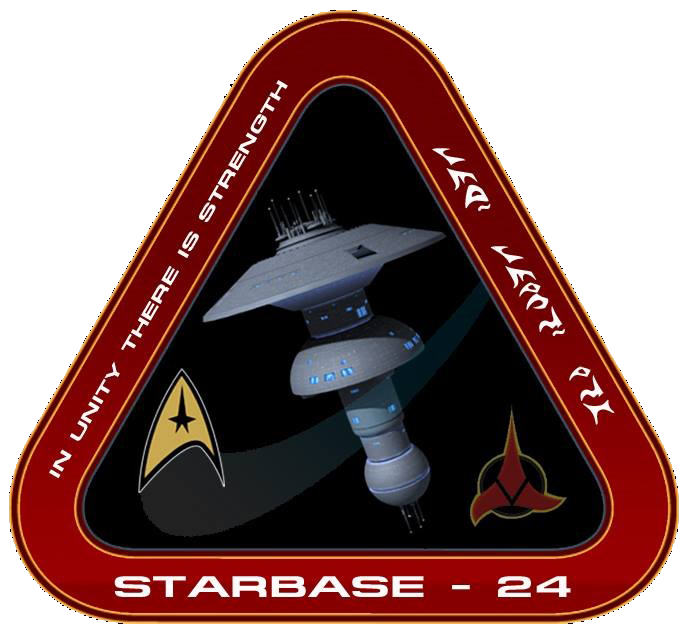 2293: Starbase 24 is elected for the starting point of Operation Retrieve, the abandoned plan to rescue James T Kirk and Leonard McCoy from Klingon Custody. Colonel West intended to take personal charge of the NZCA for the mission. 2294: Responding to the Praxis solution becomes a key area of consideration for both Starbase 24 and Frontera. Eventually a means of compensating for the damage is discovered, avoiding the need for mass evacuation of the Klingon home world as originally predicted. In return, Chancellor Azetbur confers "The Promise of Friendship" upon Frontera, an award not granted to a nation state since the consolidation of the Empire. 2300: At Sta rbase 24, the new century is celebrated by a banquet hosted at Starbase 24, with delegates from the Klingon Empire as well as various Federation worlds. 2306: The Empire declares war on Romulus following the assassination of Chancellor Humoq. Starfleet does not join the war, due to the inconclusive evidence of Romulan culpability. Two weeks after the initiation of hostilities, the USS Enterprise B discovers evidence that the assassination was the work of Reman Radicals. Despite this, there is still resentment towards Starfleet, but the Empire is still not in a position to stand on its own. 2311: Dismantling of the Neutral zone is halted, but the Neutral Zone Counter Attack Fleet is retired. 2325: Dismantling of the neutral zone finally completed. 2342: Despite strong protests from Captain Garrett, the USS Enterprise NCC 1701-C is attached to Starbase 24. 2344: The Klingon listening post on Narendra III – ironically designed to keep an eye on Starbase 24, is attacked by Romulans. The Enterprise’s valiant but ultimately unsuccessful defence of the facility is noted by the Klingon Empire, and the loss convinces Chancellor K’Mpec to commit fully to the Khitomer accords. The Enterprise would be replaced by the USS Intrepid. 2346: The Klingon outpost is decimated on Khitomer by Romulans. The only survivors are Worf, a Klingon child, and his nursemaid, a woman named Khalest. These are picked up by the Intrepid and taken to Starbase 24. 2368: Klingon Civil War. Starbase 24 provides medical aid to ships from both sides. Meanwhile, the Endeavour is used in Jean Luc Picard’s plan to expose the Romulan support for the house of Duras. 2372: Gowron withdraws from the Khitomer accords. The changeling posing as General Martok, hatches a plan to destroy Starbase 24, and capture Frontera. Gowron supports this plan, but is faced with a mutiny when key Klingon leaders, demanding that Frontera be protected as mandated by the Promise of Friendship, threaten to challenge Martok and Gowron. Gowron backs down, claiming that the value of Frontera has been overstated. 2373: The Khitomer accords are reinstated. Starbase 24 becomes a key outpost in the new alliance, ending up with its own Klingon garrison, even before Deep Space Nine. 2375: Acting on previous information supplied by the Martok changeling, the Dominion launch an all out attack on Frontera and Starbase 24. Both the Starbase and ground facilities are badly damaged in the attack and thousands of lives are lost. 2378: The Federation/Klingon Rapid Response Fleet is founded and based at Starbase 24 under the command of Admiral James Mackenzie. The Federation and Klingon Empire agree on the necessity for a joint Intelligence agency, to be run independantly of both Starfleet Intelligence and Klingon Imperial Intelligence. It is decided that the new organisation, the Federation/Klingon Intelligence Network, better known as FedKIN, will be based at Starbase 24 due to its strategic location and importance to both empires. 2379: A major terrorist attack destroys the Romulan Senate, setting in motion a chain of events that lead to the Empire splitting in two. One faction choosing to honour its alliance with the Federation, the other becoming a key player in the newly formed Typhon Pact, an alliance of the Gorn, Tzenkethi, Tholians and several other states inimical to the Federation. The political destabilisation causes an increase in hostile activities along the Federation borders, leaving Starbase 24 in a state of heightened alert and stretching resources to their maxmimum. 2381: Starbase 24 is damaged and several ships are lost during the largest Borg incursion ever launched against the Federation. Due to its strategic importance its repair is a priority and the base is fully operational again in less than six months. The neighbouring Starbase 234 is also completely destroyed in the attacks leaving Starbase 24 as the nearest operational base to the Romulan Neutral Zone. 2387: The destruction of the twin worlds of Romulus and Remus throws the Romulan Empire into further disarray, sparking off an extended period of fighting. The Federation attempted to offer aid but the various factions fighting for power hindered the relief efforts. 2389: After two years of operating on continuous high alert, Admiral Mackenzie sends a strongly worded protest to Starfleet and the Federation Council demanding an increased Federation presence along the border. On a temporary basis he is sent several extra ships to operate out of Starbase 24 while more long term plans are considered. 2390: Given the continued political instability in the area, Starfleet Command finally put tentative plans into place to begin the regeneration and rebuilding of Starbase 234.